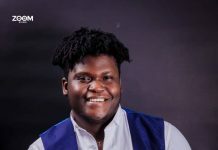 Home Entertainment Concert: South Africa’s Freshly Ground, Sierra Leone’s JayArr in D.C.
Concert: South Africa’s Freshly Ground, Sierra Leone’s JayArr in D.C. I first heard of the South African band Freshly Ground with the release of their 2008 LP Ma’Cheri. 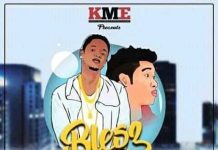 The video for the single “Potbelly” got frequent airplay on MTV BAse and Channel O. Since then I have been a huge fan of their ska meet soul instrumentals. The 7 bandmates are led by songstress Zolani Mahola an actress turned front lady from South Africa’s Eastern Cape. Other band members include Josh Hawks (bass), Seredeal Scheepers (Keyboards, percussion), Kyla-Rose Smith (violin), Simon Attwell (flute, sax etc. ), Julio Sigauque (guitars), and Peter Cohen (drums). You might remember Freshly Ground from Shakira’s rendition of “Waka Waka” during the 2010 World Cup. 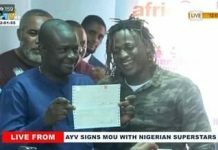 This summer the five guys and two ladies will be performing in the Washington D.C. as part of their international tour for the album Radio Africa. 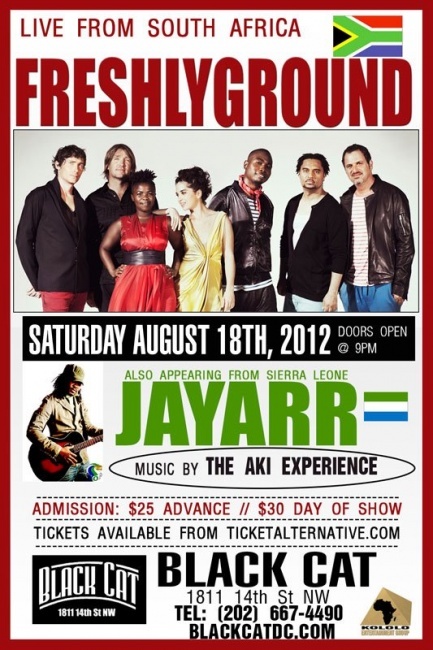 On August 18th Freshly Ground will be performing at the Black Cat in DC along with Sierra Leonean reggae crooner JayArr.